EPRUI Biotech Co. Ltd is devoted to establishing a world class enterprise which supplies various size (100nm-1000um) of monodisperse microspheres, nanospheres with highly uniform particle size. Established in 2010, EPRUI has become the most competitve uniform microspheres supplier in this area. Chinese Academy of Science and so on. And various other functional microparticles. 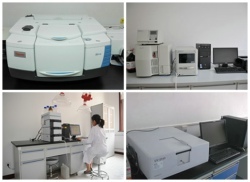 EPRUI Biotech has a 2000 square-meter manufacturing plant in Suzhou Industrial Park and a 600 square meter R&D lab in WuXi High Tech Industrial Park. These manufacturing facilities equipped with advanced analytical instruments and reliable quality control system guarantee high quality and consistent performance of products sold worldwide. EPRUI supplies chromatography media and SPE sorbents with the most advanced uniform microbeads technology. Based on acrylic polymers, poly(styrene-co-divinylbenzene) or silica, monodisperse chromatographic media with the highest performance are designed and produced for both research labs and industrial application. EPRUI supplies monodisperse beads with perfect spherical morphology and optimized pore structure, which provide high resolution, excellent selectivity, low back pressure, high recovery yield, and exceptional batch-to-batch reproducibility. EPRUI offers an extensive line of media for pharmaceutical and biopharmaceutical separation by reversed phase, normal phase, ion exchange, affinity, size exclusion, and hydrophobic interaction chromatography.